⬅ Does Fear Drive You to Control? Whether or not to make a teen clean their room is a topic that almost always comes to the surface whenever I lead parenting groups. There are usually parents in both camps–‘it’s not a hill worth dying on’ versus the ‘I can’t stand the mess’ moms. Do you just close the door and hope that someone doesn’t show up to declare that part of the house condemned? Do you break down and clean it yourself when your kid isn’t home claiming that it is the last time you are going to do it? Or do you stand firm letting your kids know that there will be no freedom until the room is clean? No ifs, ands, or buts allowed. Yes, it is quite the dilemma. We want to have relationship with our kids and don’t want the battle of cleanliness to come between us, yet we struggle with what their messiness will mean for their future. We make rules like “no food in your room” or “if clothes are not in the laundry, they won’t get washed”, yet we’re frustrated when the rules aren’t followed. So what can we do to solve the issue? Where should we draw the line? And how can we make sure we don’t pendulum swing (meaning you can get by with it this week, but next week I’ll probably be yelling at you for not cleaning it)? Or better yet, why is it even important? Believe it or not, the task of keeping their room clean can build an inner strength that we as parents might not even think about. It forces our kids to persevere through to accomplishment–the room needs to be completely clean before I leave. It teaches self-control–maybe I should put the trash in the garbage can and pick up my clothes daily so I don’t have the mess at the end of the week. It teaches our kids to resist distractions–I’ll turn my phone off until I get this finished. It helps them learn to stick to their decisions–I’ll do it after school or on Saturday. It helps them decide what is necessary and what is not–I don’t need this gadget any more or I don’t like these pants so I’ll get rid of them. One of the things that has blown me away over the last few years while I have been in more college dorm halls than any mother should have to endure is the amount of “stuff”. Our kids have grown up with the attitude that more is better. Does a college student really need a 50 inch TV in a less than 130 square feet space? Do they really need to bring all their clothes and makeup and 15 pair of shoes? What are we really teaching our kids by allowing it? Maybe it’s too hard to keep their room clean because there is too much that is truly unnecessary. Another question I usually ask in these parenting groups is what the kids’ schedules look like. Are they so busy that they don’t have time to keep their room clean? What does the family schedule look like? Are we encouraging fun instead of responsibility? Yes, we want them to have friends and the teamwork they learn in sports or other activities can be really good. A part-time job can teach responsibility and how to handle money. Again, good. But is it too much? And too unstructured? Is the schedule so jam-packed with the emphasis on friends, fun, and accomplishment that basic skills are being put on the back burner and seen as irrelevant? The other thing we talk about in these groups is consistency. Whatever the rule is regarding the level of cleanliness for our teen’s room, do we breed consistency in a way that turns the chore into an automatic execution? 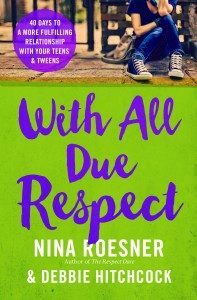 Shaunti Felhahn and Lisa Rice share some insight in their book For Parents Only with regard to rules in our homes. Seventy-seven percent of the teens said they wanted parents who not only set the rules but followed up to make sure they were executed. Think about that. How many times do we tell our teen to go clean their room and then we never inspect it afterword? It means we aren’t holding them accountable nor are we being consistent in allowing them to go do the next thing if we just assume they’ve completed what we ask. Yes, it means we are breeding inconsistency and a lack of follow-through. And I’ll admit to being that parent at times. A wise counselor had a great idea that we chose to adopt when it came to our teens keeping their rooms clean. Choose a consistent day each week that will be “inspection” day–say Thursday at 2:00. If the room is clean and meets the family standard, then they can have fun on the weekend. If it doesn’t meet the standard, the parent will tell them what still needs to be done. Then they have “grace” until 2:00 on Friday or another chosen time. At 2:00 Friday there will be a second inspection if needed. At that time it either meets the criteria or the teen is home for the weekend. If the second inspection requires Mom to intervene and clean, then any mess goes into a tub and is not available until the teen earns it back by a certain number of “clean” inspections. What is important is the upfront communication if you decide to do something like this. “Honey, I know that you seem to really be struggling with keeping your room clean on a regular basis. Why do you think that is? Then listen. Maybe your teen can identify the problem and offer suggestions. “One of my jobs as a parent is to help you mature into a responsible adult. Cleaning up after yourself is something you will always need to be responsible for. I’m sure your spouse won’t want to pick up after you all the time–and I guarantee your college roommate won’t do it.” This is where laughter comes in handy. “Your dad and I have been talking about how we’ve not been consistent in following through and helping you mature in this area. I’m sorry for that and want to get it right. I want to help you learn these skills now so they will be automatic when you move out.” Apology says we are taking ownership for our part and helps us not play the blame game. Using “I” language here is important. “What your dad and I have decided might help.” Explain the plan and expect opposition. “Think about the process we’re planning to use. If you think checking on Wednesday is better than Thursday, then we might be open to that. I want this to be win/win for both of us. Nagging you to clean your room is not the relationship I want to foster. I want you to like me when you move out.” Again, laughter. Two things are really important here: 1) timing for the discussion you are going to have — maybe do it over a trip to the local coffee shop? and 2) make sure you follow up on when you will start implementing. Listen to their ideas on the when and how it will be done and accommodate their requests if possible. Remember that our job as parents is to equip our kids to become mature adults while maintaining the relationship. 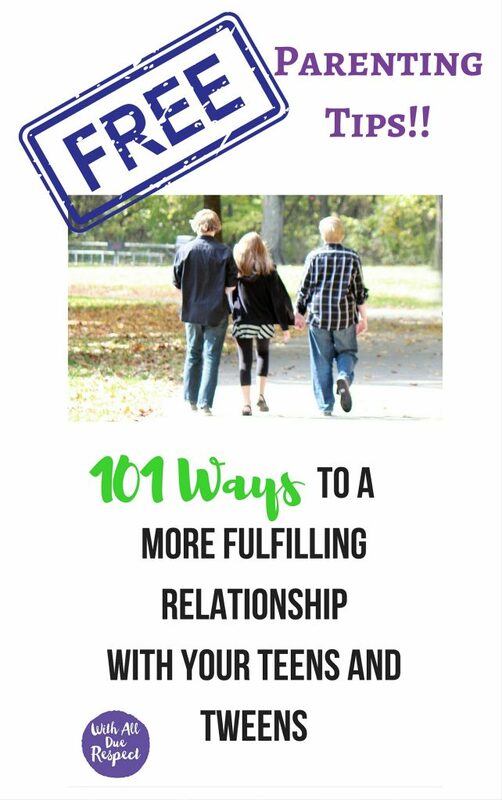 While it isn’t always an easy endeavor, if we can think through our typical battles, we’ll find ways to strengthen our relationship in what can be the difficult years of parenting. Learning to communicate with our kids in a way that strengthens the relationship isn’t always easy. 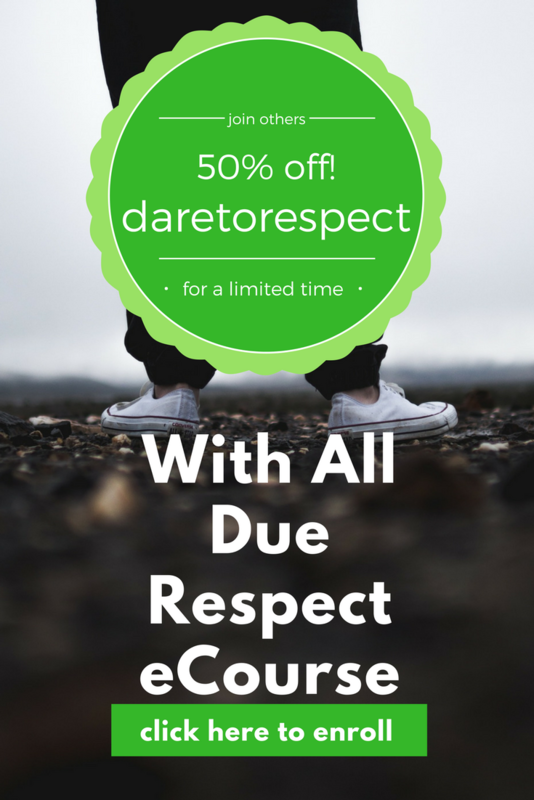 If you like the ideas in my blog, why not join me in the With All Due Respect eCourse offered by Greater Impact Ministries? There you will find video teaching and other moms to support you in your parenting journey. We have a private Facebook community where we go through the dares and talk through each of the participants’ parenting issues. You’ll learn from each other and from the moms who have gone before you. Women tell me all the time how much they grow in their relationship with Jesus Christ as they go through the book. It will help you in your relationship with Him, with your spouse, and with your kids. Dare ya!